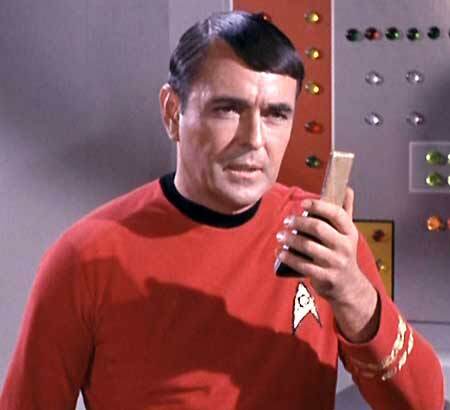 Apologies to visitors using dial-up connections for today's image-heavy update. I do my best to minimise loading times, but sometimes it's all about the pictures! 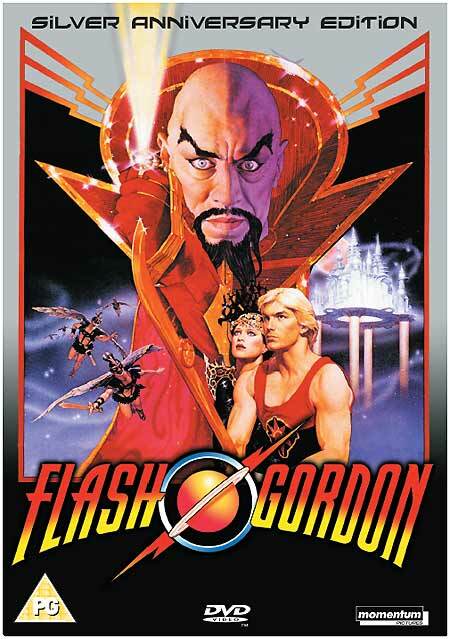 A Silver Anniversary Edition of 1980 kitsch classic Flash Gordon will be released on October the 25th by Momentum Pictures. The disc will be presented in limited edition "steelbook" packaging. The film will be offered with a choice of "new" Dolby Digital 5.1 or DTS audio tracks. Bonus features include commentary tracks by director Mike Hodges and star Brian Blessed; an interview with Hodges; the original Queen theatrical trailer; a photo' slideshow; and Chapter 1 of the 1940 serial Flash Gordon Conquers The Universe, The Purple Death. RRP for the disc will be £19.99. 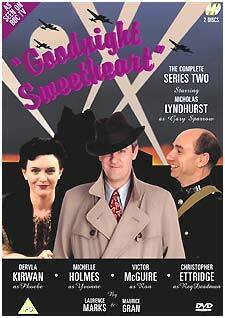 Revelation Films will release the the second series of the time-travelling sitcom Goodnight Sweetheart on September the 26th. The two-disc set will feature all ten half-hour episodes, in their original 4:3 format, with Dolby Digital stereo audio. 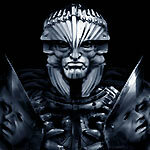 Bonus materials for the second series set will include commentaries by series writers and creators Maurice Gran and Laurence Marks, and an interview with actor Christopher Ettridge, who played PC Deadman. RRP for the set will be £19.99. Revelation have also revealed that music clearances for all the episodes in the series have been guaranteed, and that all six series will feature especially-recorded bonus features. Zeta Minor's review of the Series One DVD can be found here. 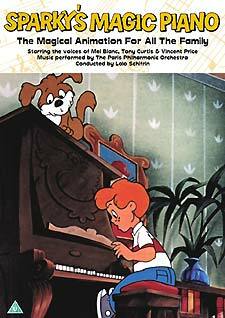 Revelation will release the 1987 animated film Sparky's Magic Piano on DVD on September the 26th. The film, which features the vocal talents of Mel Blanc, Tony Curtis and Vincent Price, will be in 4:3 format, with Dolby Digital 2.0 stereo audio. The disc will include biographies, an interactive Your First Piano feature, and a photo' gallery. The RRP is a modest £7.99. Universal Pictures will release a 30th Anniversary Edition of Jaws on August the 29th. The two-disc set will feature the extended version of the A Look Inside Jaws documentary; a recently-unearthed contemporaneous Spielberg interview', From The Set 1974; thirteen deleted scenes; outtakes; still gallery; Shark Facts and Storyboard Comparisons (Opening Credits and Chrissie's Death; Death of Kintner Boy; Hooper's New Future and Original Ending). The deleted scenes: Police Chief Martin Brody with Gary; Police Chief Martin Brody discuss Chrissie; Chrissie's Body; Town Parade; Car Ferry; Quint's Car; Quint in Local Store; Police Chief Martin Brody at the Pier; Matt Hooper arrives in Amity; The Hunt; Sea Otter Discussion; Search for the Tiger Shark and Quint's Assistant. No technical details were announced, and it's not currently known if the Oscar-winning mono sound mix will be offered (or if we'll be stuck with the grotty 5.1 remix, again). RRP for the two-disc set is £19.99. A limited edition (2,500 copies, in the UK) Collector's box set will also be available. It will include everything from the two-disc set, as well as a soundtrack highlights CD; limited edition Seritype; commemorative booklet; eight lobby cards; six publicity stills and "US theatrical posters". RRP for this set is £39.99. Universal Pictures will release Peter Berg's critically-acclaimed sports-themed movie Friday Night Lights on September the 5th. The film, about a small Texan town's support for its football team, features Billy Bob Thornton as the team's beleaguered coach, and his Sling Blade side-kick, American Gothic's Lucas Black, as an insecure quarterback. The disc will feature an array of bonus material: "action-packed" deleted scenes; Peter Berg Discusses a Scene in the Movie; Player Cam; Tim McGraw: Off The Stage; The Story of the 1988 Permian Panthers; and an audio commentary by Berg and writer Buzz Bissinger. This appears to be identical to the US edition, which was released earlier this year. No technical spec's were announced. RRP for the disc is £17.99. Warner Home Video will release a re-mastered version of the last Fred Astaire and Ginger Rogers film, The Barkleys of Broadway, on September the 12th. The disc will include a new featurette, Reunited at MGM: Astaire and Rogers Together Again; a vintage short, Annie Was a Wonder; a Droopy cartoon, Wags to Riches; and a theatrical trailer. The film will be presented in mono. I don't have any technical information about the video presentation. RRP for the disc is £15.99. The release of The Essential Steve McQueen DVD box set, which was originally due on sale this week, will now take place on September the 19th. The six-disc set will include the recently-released two-disc edition of Bullitt and the recently-released edition of The Getaway. The new Bullitt disc features three documentaries, including one that's new to DVD: The Cutting Edge - The Magic of Movie Editing, a look at the film editing process featuring input from Steven Spielberg, George Lucas, Martin Scorsese, Quentin Tarantino and Ridley Scott. It will also include a new documentary about the actor, Steve McQueen: The Essence of Cool, which includes contributions from McQueen's first wife, Neile Adams, Sir Richard Attenborough, Norman Jewison, son Chad McQueen, Peter Yates and Barbara Minty (McQueen's widow). Disc one will have a commentary track, by director Peter Yates, and will also feature the film's theatrical trailer. The third documentary is carried over from the existing disc: the 1968 promotional featurette Bullitt: Steve McQueen's Commitment to Reality. The film will be presented in 1.85:1 format, with Dolby Digital 2.0 audio. The Getaway set includes a commentary by DVD producer Nick Redman, authors Paul Seydor, Garner Simmons and David Weddle; a "virtual" audio commentary with stills, featuring McQueen, co-star Ali MacGraw and director Sam Peckinpah. The disc, which will feature the film in 2.4:1 widescreen format, with mono audio, will also include a theatrical trailer. 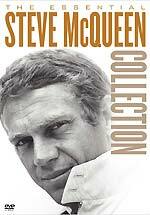 RRP for the five-title The Essential Steve McQueen Collection set is £49.99. The US version of the set came out last month. It includes an additional film: Papillon, a title owned by Warner in the US, but by Columbia Tristar in the UK. Their Papillon disc is bare-bones, in contrast to the UK disc, which has a featurette, and an isolated score track (featuring a perennial favourite by Jerry Goldsmith). The UK Papillon disc is usually available for about £7. SRP for the US set is $68.92. Spirit Trap, the paranormal thriller starring Billie Piper, now has a theatrical release date, and a nicely moody poster image. The film will open in the UK on August the 12th. 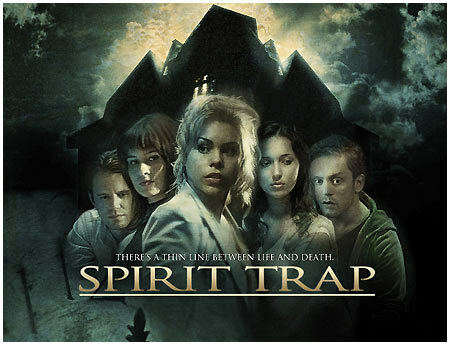 The film, which also stars Luke Mably, Emma Catherwood, Sam Troughton (Patrick's grandson) and "Russian singing sensation" Alsou, is about five students who move into a deserted mansion where dark secrets lurk. A longer synopsis, a Q&A with the director, and a couple of photo's of Billie Piper, from the press kit, are available here. Twentieth Century Fox Home Entertainment will release Ridley Scott's historical epic Kingdom of Heaven on October the 3rd. There'll be a single disc version, featuring a "Pilgrim's Guide" commentary track and an Inside Look at Tristan and Isolde. That has an RRP of £17.99. Let us speak no more of it. The two-disc edition will also have six extra featurettes, and "a unique interactive step-by-step production grid that allows you to follow the film’s creative development from a choice of sixteen documentaries, ranging in length from eight minutes to ninety minutes". 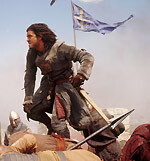 It will also feature an HBO First Look; Orlando Bloom Visit Reel; trailers and TV spots. RRP for this version is £24.99. Both discs will present the film in anamorphic format, with Dolby Digital 5.1 audio. More details will follow. 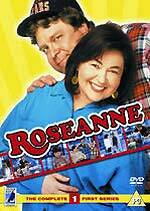 Anchor Bay will release the first season of the long-running sitcom Roseanne on September the 19th. Ceri has updated the Offers page today, which now includes lots of new bargains, including lots of Network TV titles, and a bunch of new Doctor Who book and DVD offers. I've added a review of the UK Deadwood - The Complete First Season DVD set to the site today. I heartily recommend the series, but want to warn you away from buying the UK edition, which is stripped of all the bonus features that are on the US edition. Click on the sleeve image, right, or here to go to the review. Universal Pictures will release the Chronicles of Riddick Director's Cut as a two-disc DVD set on September the 19th. This version adds about fifteen minutes of footage to the film, helping to clarify some plot points, adding some character moments, and making the violence a bit more brutal. In the US the Director's Cut was released on disc simultaneously with the DVD release of the theatrical version, but neither disc had extensive bonus materials. You can read Lee Medcalf's review of the theatrical version here, and my review of the original UK DVD here. The new disc presents the film in anamorphic 2.39:1 format, with Dolby Digital 5.1 audio (at 384kbps). These spec's are basically the same as the current disc, but the new one is able to devote more space to the film itself, and so has a higher average bitrate (6.67Mb/s as opposed to the 5.76Mb/s of the old one). The new disc carries over most of the bonus features from the old one (the ones they've dropped were pretty worthless, anyway). This includes the commentary track (by writer / director David Twohy and actors Karl Urban and Alexa Davalos) and the pop-up information subtitles (the Riddick Insider feature). Director's Introduction (1m); Deleted Scenes (with optional commentary, 8m); Creation of New Mecca featurette (11m); Riddick Rises featurette (13m); Keep What You Kill featurette (17m). There's also the Interactive Production Calendar, which offers about thirty short clips to illustrate the ninety-day shoot. This feature is presented with one of the most needlessly complex menu systems I've seen, and there's no handy "Play All" option. The menu screens for the new disc are very similar to the ones on the existing disc (including the "CONVERT" or "FIGHT" option at the beginning, which determines which set of menus you'll use). You can see some of the new menu screens here. RRP for the new disc is £19.99. Warner Home Video will release the sixth season of The West Wing on DVD on September the 26th. The sixth season picks up from the devastating events at the end of the fifth season, and takes place during a Presidential election contest. 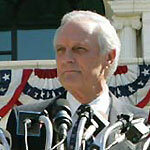 The season features appearances by M*A*S*H's Alan Alda (as Republican Presidential candidate Arnold Vinick, pictured above), NYPD Blue's Jimmy Smits (as Democratic candidate Matthew Santos) and American Gothic's Gary Cole (as Vice President Robert Russell). Magicians Penn and Teller also appear, causing controversy at the White House when they set light to the American flag as part of their act. The set will feature twenty-two episodes, presented in 1.78:1 anamorphic widescreen format, with 2.0 Dolby Digital audio. Apparently there are no bonus features. The RRP is £59.99. 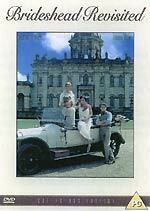 Granada Ventures will issue a 25th Anniversary Brideshead Revisited Collector's Edition DVD box set on September the 19th, almost... err... twenty-four years after it was first transmitted (in October 1981). The four-disc digipack set will include "commentaries from Jeremy Irons, Anthony Andrews, Diana Quick, Nickolas Grace and producer Derek Granger", and an exclusive documentary shot at Castle Howard, which will include interviews with some of the cast. The set has an RRP of £39.99. Granada has announced that the Catherine Cookson DVD box set that was due to be released next month has been postponed until 2006. 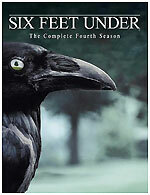 HBO Video will release the fourth series of Six Feet Under on September the 5th. This is the most recent series to air in the UK (a fifth - final - season started in the US last month, and will air on E4 around the time the new DVD set is released). The set will feature thirteen hour-ish long episodes, seven of them featuring commentary tracks by writers and directors (episodes 1, 3, 5, 6, 7, 11 and 12, assuming they're the same as the ones on the American set). It will also contain deleted scenes and a featurette on editing the series, titled Cut By Cut. The RRP is £49.99. HBO will also release the fourth season of Larry David's semi-improvised comedy series Curb Your Enthusiasm on September the 26th. The two-disc set will feature ten episodes (nine half-hour episodes, and the hour-long season finale), which include cameo appearances by Ben Stiller, Michael York, David Schwimmer and Jerry Seinfeld, as well as series regulars Ted Danson and Richard Lewis. The RRP is £24.99. Mosaic will release subterranean horror flick Dead and Dying on October the 31st, after a three month rental window that begins on August the 1st. The film, formerly known as Intermedio, features Terminator 2's Edward Furlong, Cabin Fever's Cerine Vincent, Buffy The Vampire Slayer's Amber Benson and Ed Gein's Steve Railsback. The film, which was directed by Andy Lauer (who some of you might remember as Charlie in Caroline in the City), is supported by a twelve-minute featurette, and a theatrical trailer. It's presented in 1.78:1 anamorphic widescreen format, with Dolby Digital 5.1 audio (at 448kbps). Tartan has announced a correction to the price of their forthcoming Paul Morrisey DVD set: it will have an RRP of £39.99. 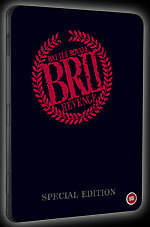 They've also announced that the two-disc Battle Royale 2: Revenge DVD tin set will be released on October the 24th. The RRP is £29.99.